I was trying a new watercoloring technique. 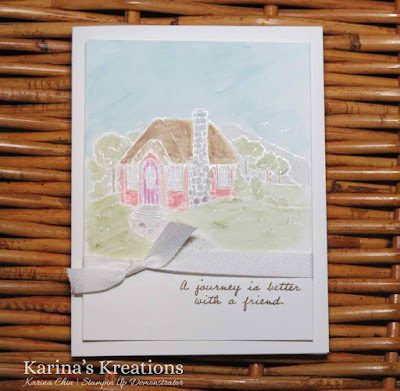 I stamped the image with versamark ink, embossed it with White embossing powder and colored the image with water color pencils. 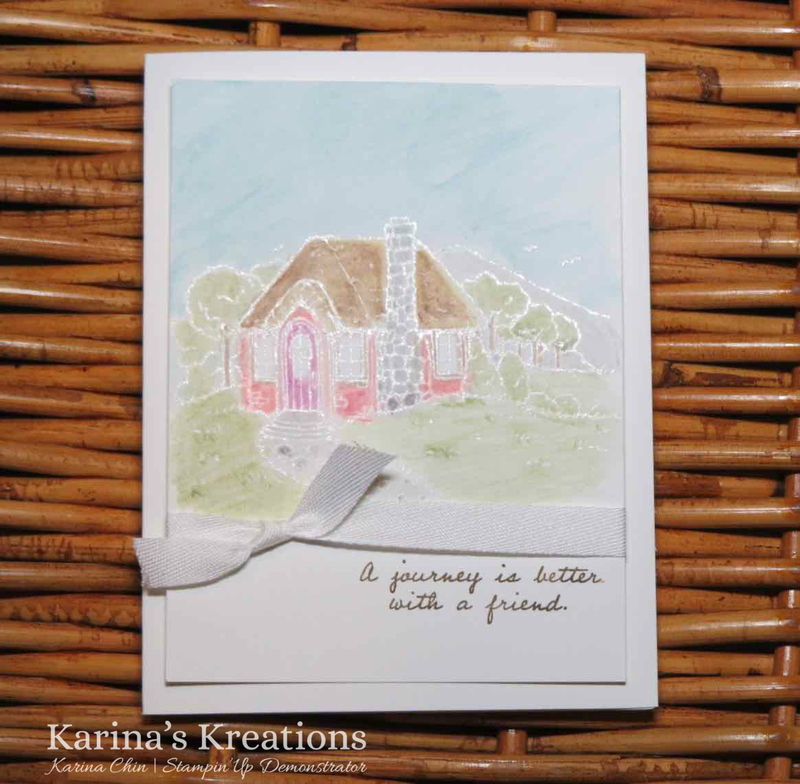 The white embossing powder give the image a softer look. To order any of these product, click on the picture below.